The hurricane or rainy season in the Caribbean officially starts on June 1st and lasts until well into November. Any storm even a gale can be hard on a boat so what is the risk? Grenada where Temptress is currently at anchor was hit badly by Hurricane Ivan in 2004 and again by Hurricane Emily in 2005 so her crew are now carefully watching the weather every day. Trinidad where we plan to be in August has not been hit by a hurricane for over a hundred years (the last one being 1873) but has experienced several tropical storms mainly in August through to September. Being at the very south of the Atlantic hurricane belt major tropical storms are rare in this part of the world with around 25-30 since 1900. A tropical storm has less wind strength than a hurricane but can still cause severe damage to a moored or stored ashore yacht and wouldn’t be a particularly pleasant experience at sea with maximum sustained winds from 34 kt (39 mph or 63 km/hr) to 63 kt (73 mph or 118 km/hr), a hurricane has sustained winds higher than 63 kts. A Named Tropical Storm is defined as a tropical cyclone which is given a name by the “National Hurricane Centre” (www.nhc.noaa.gov). This clause is operative between July 1st and November 15th, inclusive, in the area East of 98°W and West of 60°W, and between the Latitudes 10°N and 30.5°N. This clause does not apply in the Pacific Ocean. 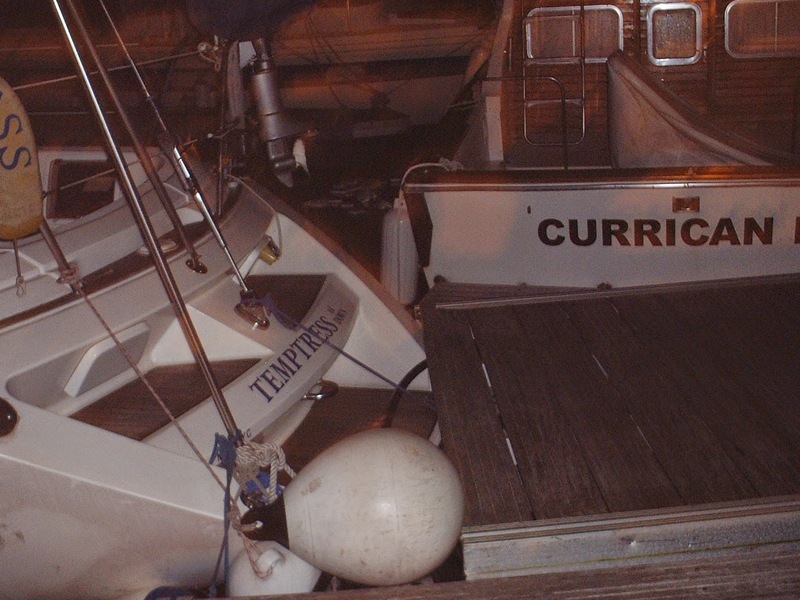 c) secured and appropriately prepared for a Named Tropical Storm in a marina berth or on a mooring (anchored with adequate ground gear) or in the mangroves. In the event of a claim for hurricane damage which is accepted under condition 3. c), the deductible, in respect of each and every claim including actual or constructive total loss, is 20% of the total cost of the claim, subject to a maximum of EUR 100.000, or the deductible noted in the policy, whichever is the higher. For any claim accepted under condition 3. a) or 3. b), the deductible noted in the policy applies. Sounds onerous with the area covered by the clause including the entire Caribbean Sea and beyond; everywhere from the Venezuelan coast to north of Florida, USA. In fact the negation of any risk is relatively simple, if a named storm or hurricane is predicted Temptress will be heading south to Trinidad a day’s sail and if necessary, to Guyana to head up a river there a further 300 miles south east. Our storm preparation is based around avoidance if at all possible rather than sitting it out. With modern forecasting available 24x7on the internet we expect to have plenty of warning giving us time to prepare or move but there still are risks we need to account for. For example if there is a family emergency back in the UK and we have to leave the boat somewhere in a hurry to fly back, where would be the safest place? Our insurance company has advised we lodge a hurricane plan with them covering the months of July to November. It seemed a good idea anyway to ensure we know what is on offer from Grenada southwards so we’ve been doing a bit of research on the various options. Here in Grenada some marinas offer shelter in the mangroves in known hurricane holes along the island’s southern coast and if the owner is not present, will move a boat under their care to their preferred spot when a named storm is forecast. Other’s offer moorings or marina berths depending on the degree of shelter in their particular bay and a few offer space ashore but we have yet to track down a yard prepared to either put Temptress in a hole in the ground (it will have to some 1.5 m deep and several metres long to take our keel and rudder) or equipped with proper boat cradles as opposed to simple jackstands (which can vibrate and move) chained together for our sized boat as required by the insurance company. Even the fringes of a tropical storm will make itself felt damaging canvas work and sails if left in place. When leaving a boat in these regions for a week or more it is advisable to take off all the sails, the bimini, solar panels, twind generator and the sprayhood and store them below together with any other removable appendages like the dinghy, danbuoy etc. And it is not just the wind; the ensuing storm surge that can cause severe damage along coastlines lifting boats up off their moorings or out of their boatyard storage and discarding them again a long way inland. We experienced a little of this in Spain in 2002 when a hurricane hit Barbate Marina and the resulting surge combined with the winds destroyed the marina pontoon fixings causing mayhem as the boat laden pontoons blew down the harbour basin but fortunately Temptress survived this melee with only superficial gelcoat damage. 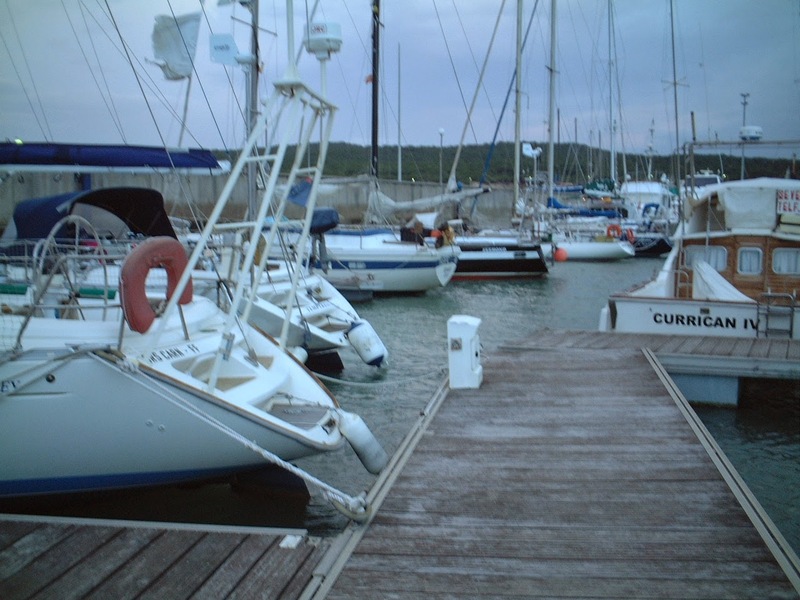 Strong moorings whether to a pontoon, a buoy or the ground are essential; when the wind strength doubles then force put upon your boat hull quadruples (basic kinetics, think about stopping distances in a car, double the speed needs four times the distance) – food for thought. For those interested in the risk of tropical storms or hurricanes over this season StormCarib.com provides a summary of the various predictions for the 2014 season which in summary are forecasting fewer than average storms and hurricanes. Of course these are only forecasts and reality may be quite different. 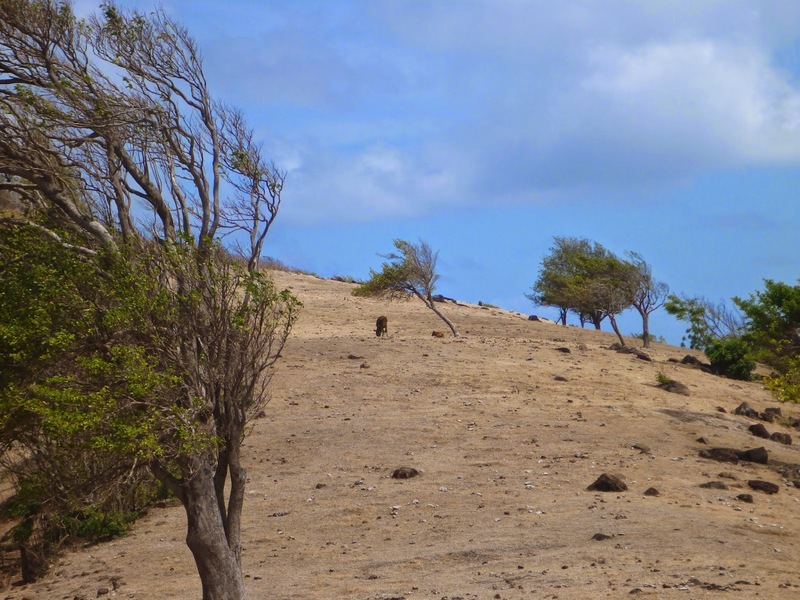 Similarly a brief article in the CaribbeanCompass last month (May 2014) drew parallels between the dryness of the season prior to the summer and the occurrence of hurricanes – dryer winter, fewer hurricanes – and we are aware that this past winter has been unusually lacking in rain but this will not make us complacent. Storms are a real risk and it only takes one to destroy our home so our planning and watchfulness continues until early December. For info on hurricanes, tropical storms and places to hide in Trinidad take a peek at this article.